At Palm Beach Oriental Rug Cleaning Pros, we know that area rug cleaning can take many forms and some rugs will require special handling and portions of our process to be adjusted or omitted entirely, but here’s the basic process we use as a starting point: First, is dusting. We used an industry-best automated duster to gently and effectively remove lose particles and contaminants from your rug. In some instances we’ll use forced air blown through the rug if we feel we can achieve better results with your specific rug. Next, we perform a urine treatment. If required, your rug will be treated for urine and the pH will be stabilized before immersion cleaning. Keep in mind that while the odor is typically easier to remove, pet stains and the resulting damage is often irreversible. Following these steps, we move onto washing, spotting, rinsing, and drying. 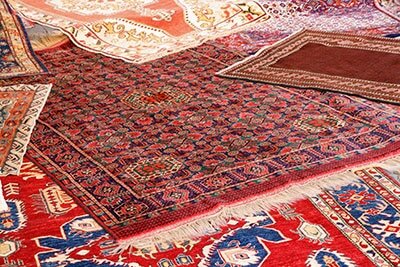 Utilizing the basic elements of air and water, we customize the cleaning process for the needs of each individual rug. With patented tools and equipment designed specifically for the cleaning of oriental and area rugs, we provide a thorough and effective, yet gentle, cleaning process that is powerfully soft. Depending on the particular fibers, dyes, soils and construction of the rug, we will draw from a wide range of cleaning techniques to meet your individual needs. Palm Beach Oriental Rug Cleaning Pros cares for all type of area rugs from around the world. We recommend a thorough in-plant cleaning for Oriental, area, and loose woven rugs; they should not be cleaned on location like wall-to-wall carpet. Our team will pick your rug up and bring it to our special cleaning plant where it will receive a careful cleaning process designed for maximum spot and dirt removal. Our cleaning process is gentle enough to not harm the most delicate of your antique and handmade rugs. It is important to have your rug cleaned in our plant because we use several treatments for a more thorough cleaning, controlled drying, and the use of various tools that are not available at your home. Everything looks better after a good bath—especially rugs! Oriental and area rugs are not just treasures; they are also valuable investments that with care can last generations. Whether a full submersion bath with wool-safe approved products or a meticulous dry cleaning, Palm Beach Oriental Rug Cleaning Pros offers your rugs the best care available. Area rugs need to be cleaned every 2-5 years depending on use. Before sending your rug investment out for cleaning, be sure your rug is being cleaned in a facility that specializes in natural fiber rug cleaning. Verify your rug is not being contracted out for cleaning or worse yet, being cleaned on a driveway. 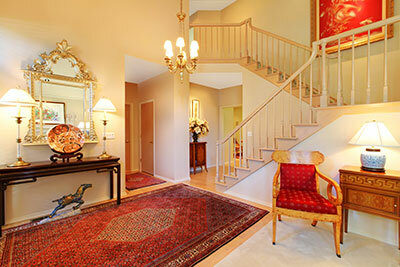 A professional rug cleaning company welcomes your visit and is able to answer your questions. 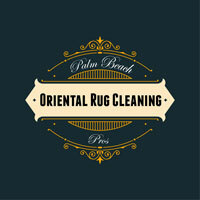 At Palm Beach Oriental Rug Cleaning Pros, we promise outstanding results every time and guarantee our work. We use modern technology and restoration systems to make your surfaces shine.